Practical and customized to your company. Your economic and personal success is our top priority. We discuss various steps with you in advance, carry out appropriate measures and look after you after the training. Where are you and your employees currently? What skills do you already have and what are your challenges? What strengths can be further strengthened for your success and how can we transform weaknesses into strengths in order to make them profitable for your company? Often you get a real insight into the daily workflow when you are at it. A trainer will accompany you and/or your employees one day in your business process. In this way, we ensure that we train the right topics and that you and your company can really understand and carry on. Which is the right training concept for your project, we work out together. In doing so, we pay attention to a high practice reference and content, which can be implemented immediately. Exercise sequences bring the participants into action and create new synergies and solutions. Mediated knowledge is thereby strengthened. The training is over and the professional everyday returns. Now it is particularly important to integrate the treated topics sustainably. Different exercises, which each participant worked on after the training, anchoring the newly learned and it finds direct implementation in practice. The written results of the exercises are forwarded to the trainer in order to conceive the best possible follow-up training, to prepare indivdual coaching sessions or to set up mentoring calls. From practice to theory. Sounds funny at first. We summarize all the results in a clear workbook: best solutions, sales guidance, treatment of the most frequent customer complaints, etc. This workbook serves as a thread for your employees and can be used at any time. Make a leader to a coach. 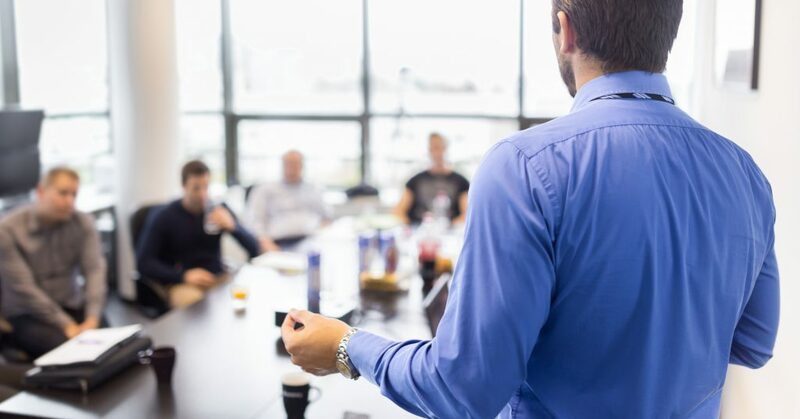 Your leader will, of course, take part in all training activities and we will ensure that he/she will be able to refresh training sessions and bring new employees on board successfully. The basis is the individually created workbook for you. In a personal interview we will find out which steps are the right ones for you.